Red and White Fleet, the original San Francisco Bay tourism cruise company, announced today it will be partnering with Golden Gate Zero Emission Marine to purchase the first hydrogen fuel cell boat, in Spring of 2020. The company has its sights set on changing the way marine vessels consume energy in the United States and are excited about moving their fleet to zero pollution by 2025. 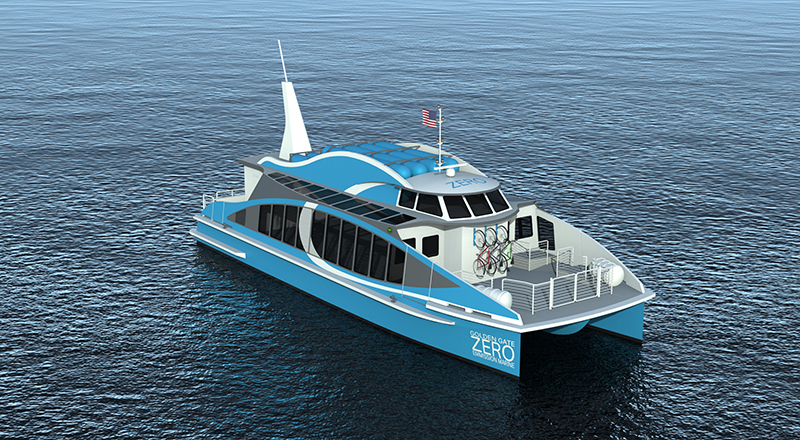 Golden Gate Zero Emission Marine was awarded a $3 million grant by the California Air Resources Board (CARB) to build the first hydrogen fuel cell vessel in the US. This initiative provides a solution to a $330 billion dollar global maritime pollution problem. This project was supported by the “California Climate Investments” (CCI) program.